and at Cotton & Pine we can’t wait to kick off the holiday season, so we’re excited to announce our Holiday Open House! Be sure and stop by the shop on Thursday, December 4 between 9 a.m. and 6:30 p.m. We’ll be releasing our line of ready-made holiday cards, hot off the letterpress machine, taking orders for personalized christmas cards—and serving hot apple cider! We’re super excited about our new personalizable christmas cards and we can’t wait to show them off, so here’s a sneak peek. 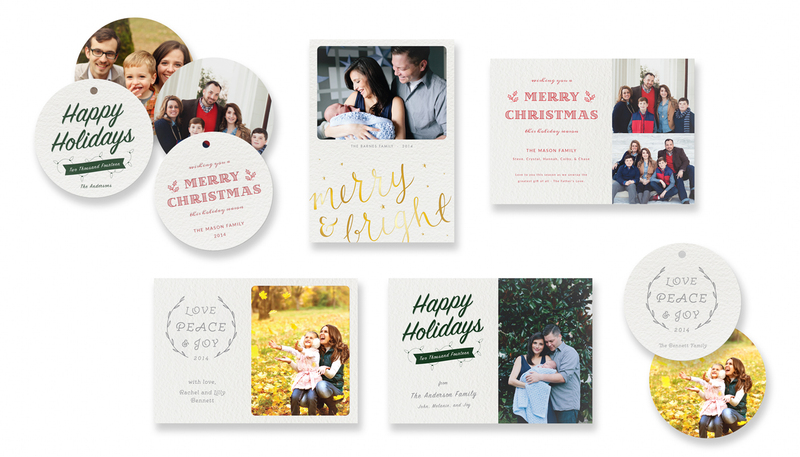 If you would like to place an order for some personalized family christmas cards, come by and see us at the Holiday Open House or give us a call (334.271.6879) or email (info@cottonpine.com)!